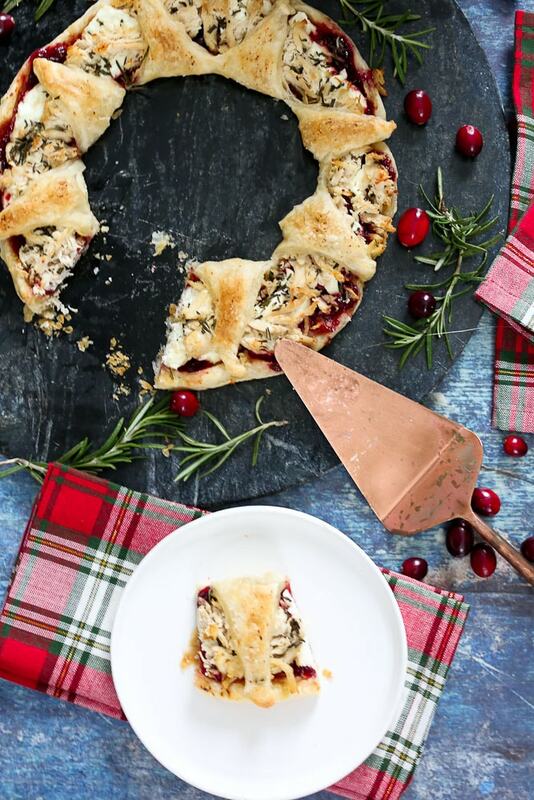 This Puff Pastry Christmas Wreath Appetizer is a delicious way to start your holiday meals! How are all of your holiday preparations coming along? Do you have your appetizer list ready to go? I have one more for you to add to your list! This Puff Pastry Christmas Wreath Appetizer is so delicious I almost ate the whole thing all by myself when I was testing the recipe. I used Dufour’s frozen puff pastry because it has a simple, cleaner ingredient list than most of the puff pastries you’ll find and I think it tastes a lot better, too. It’s not always easy to find, though, so use whatever brand you can find. This is a really easy recipe and makes a pretty presentation. It’s especially easy if you prep the cranberry sauce (or buy store bought?) and chicken ahead of time. You’ll be able to assemble this quickly and enjoy your time with friends and family. Let me show you how to prepare it! Thaw your frozen puff pastry ahead of time according to the package directions. Lay the thawed puff pastry on a lightly floured surface and lightly flour both sides of the dough. Find a large bowl to use as a template and cut around the bowl to create a circle. Save the extra dough for another use. Transfer the dough circle to a baking sheet lined with parchment paper or a silicone baking mat. Using a smaller bowl, press down to create a inner circle of your wreath. Don’t press all the way through. Using a sharp knife (I used a crafting xacto knife), cut the inner circle into eight equal triangles, as if you are cutting pizza slices. Add the cranberry sauce, goat cheese, chicken, and rosemary to the outer circle of the wreath. Pull up the triangles and press the dough together on the edge of the wreath, as shown. Use your fingers to push up the entire edge of the wreath. Brush melted butter on the top of the dough and sprinkle with coarse sea salt. Bake at 400 degrees for 20 minutes. If the dough didn’t get brown enough, you may broil it for 1-2 minutes. 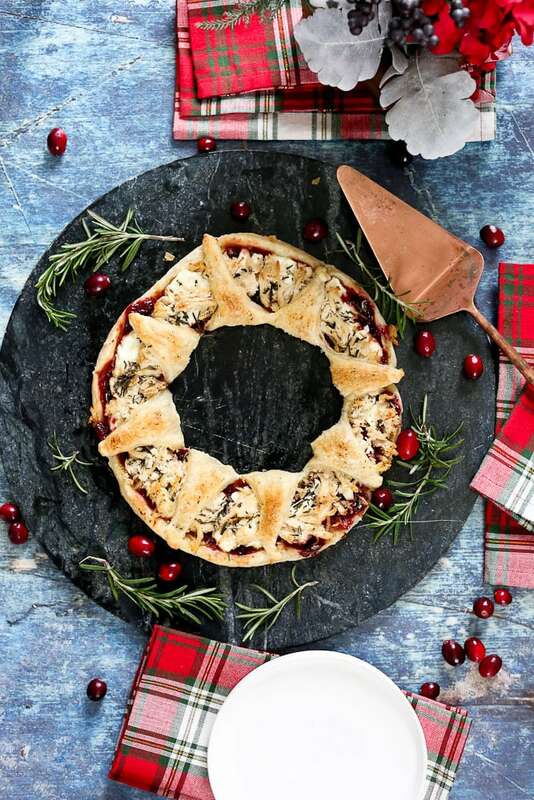 In the end, you’ll have a beautiful Puff Pastry Christmas Wreath Appetizer that your guests will love. These flavors go together so well. It’s the perfect combination of sweet cranberry sauce with creamy goat cheese and savory chicken. So good! Here’s a close up for you of what the ingredients look like together. 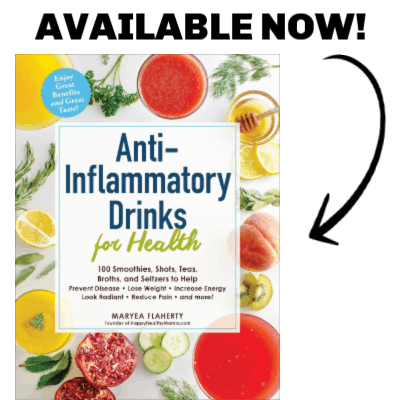 I hope you and your family LOVE this! 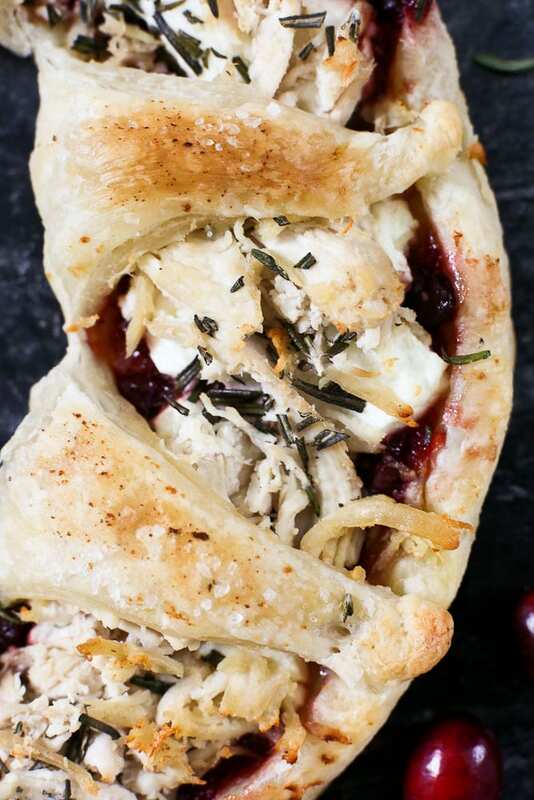 This Puff Pastry Christmas Wreath Appetizer has sweet cranberry sauce, creamy goat cheese, and savory chicken wrapped in buttery puff pastry. It’s an incredible and pretty appetizer! Chop the leaves from your second rosemary spring finely and preheat the oven to 400 degrees. 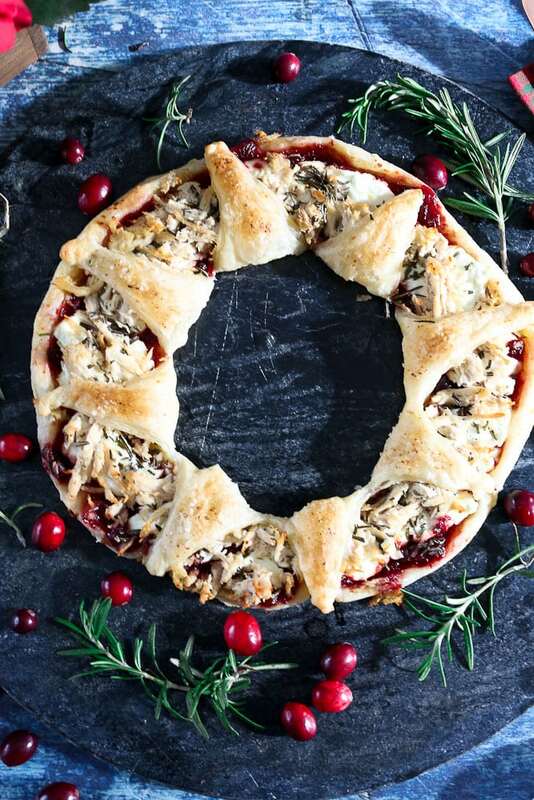 If you make this Puff Pastry Christmas Wreath Appetizer recipe, or any Happy Healthy Mama recipe, I would LOVE to see it! Please take a pic and share it on Instagram or the Happy Healthy Mama Facebook page and tag me @happyhealthymama ?